When it comes to buying cannabis seeds, making sure you get the best genetics possible is essential if you want to get the most out of your plant. A great way to ensure this is to look at the reputation of the seedbank you are buying from, because if anything is an indication of quality, it is happy customers. With this in mind, we have put together a list of the top 10 best selling seedbanks here at Zativo – chosen by growers for growers. Barney’s Farm has a reputation as one of the most highly regarded seed banks around. They are well known for their love of experimentation with high-quality genetics and have consistently produced strain after strain of top-shelf cannabis. Based in Amsterdam, The Netherlands, Barney’s Farm are at the very heart of cannabis culture and have pretty much been there from the start. 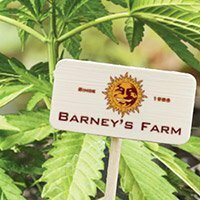 All throughout the eighties, the breeders of Barney’s Farm travelled the world, collecting and cataloguing a whole array of the best cannabis strains available, ready to be bred back home. It resulted in the foundations from which they grew to fame, using their unique breeding skills to hone and meld all kinds of captivating strains. Barney’s Farm still scours the world for new and exciting landrace strains to make a part of their seed catalogue and use to breed the next generation of high-quality cannabis seeds. And the proof is out there, Barney’s Farm cannabis strains are some of the most award winning strains around – often winning a High Times Cannabis Cup every year. Go to the complete catalogue of Barney’s Farm. Royal Queen Seeds is a seed bank that prides itself on its stringent quality control and advanced breeding methods. You can rest assured that the seeds from RQS are always the best they can be, and the people agree - Royal Queen Seeds is now one of the fastest growing seed banks here in Europe. With over 20 years of experience breeding cannabis seeds, Royal Queen Seeds has proven their worth, not only with their popularity among our customers, but also with the awards they have won, picking up prizes at many different Award shows. 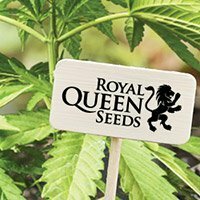 Also, for Royal Queen Seeds, it’s not all just about THC; they have taken their reputation for high-quality genetics and applied it to the creation of some unique and award winning CBD rich strains, cementing themselves in the market for some of the best CBD cannabis strains available. Go to the complete catalogue of Royal Queen Seeds. 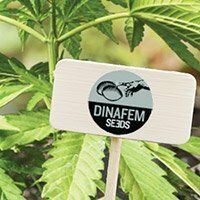 Dinafem is a Spanish cannabis seed bank made up of likeminded breeders who came together to share their experience and unique cannabis genetics with the world. They became the first Spanish seed bank to dedicate themselves to producing some of the best feminized varieties of cannabis around. It has skyrocketed them into the big leagues, especially amongst their Spanish fans, who have welcomed feminized varieties of cannabis seeds with open arms. While Dinafem may not have the marketing presence of some of the larger players in the cannabis seed market, their seeds tend to do the speaking for them – and it has something our customers have recognised, with Dinafem being our fourth most popular seed bank here at Zativo. They have well and truly consolidated their place in the market and have become synonymous with high-quality cannabis seed genetics. Go to the complete catalogue of Dinafem. Greenhouse Seeds are one of the big players in the cannabis seed market, and consistently produce best-selling cannabis strains. They are well known for their huge coffeeshop that acts as their base in Amsterdam, and it draws tourists in from across the globe, wanting to sample some of the delights this seed bank has on offer. Arjan, the founder of the company, has dedicated years of his life to hunting down unique and localised landrace strains from across the globe - finding the gems hidden in the rough - and making them a part of the Greenhouse name. Their efforts to produce world-renowned strains pays off, as they have continued to win award after award, year after year, for the many strains of cannabis seeds they produce. Go to the complete catalogue of Greenhouse Seeds. 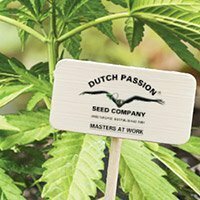 As the name suggests, Dutch Passion has its roots deep within the Dutch cannabis scene. It is one of the oldest cannabis seed banks on the planet, and as such, has years of breeding experience to draw upon. They are one of the ancient giants of the cannabis community, and even claim to have invented the feminized cannabis seed. With such a reputation, it is easy to see why they are so popular with our customers, and deserving of a place in our top 10 best cannabis seed bank list. The actual breeding of Dutch Passion is based on old-school genetics, and they continue to offer tried and true classics, as well as newer varieties in both regular and feminized versions – meeting every grower's needs. When it comes to Dutch Passion, it is all about refinement and masterwork genetics – you can’t go wrong. Go to the complete catalogue of Dutch Passion. 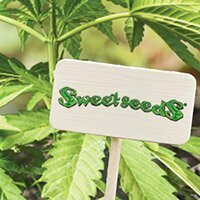 According to Sweet Seeds, cannabis is a gift of nature that everyone across the globe should be able to enjoy. As such, they have dedicated themselves to collecting and personally sampling the many cannabis strains out there. Only then, once they have found something they like, will they consider breeding – name and pedigree doesn’t matter when it comes to deciding what to breed next, it is all about their personal experience with a plant. It has led to a unique style of breeding, but one that is immensely popular with growers everywhere. And it doesn’t stop there, what makes Sweets Seeds one of the best seed banks out there, and so popular with our customers, is that they listen to the feedback growers give them about their seeds, and use it to shape the future path of their genetics. Go to the complete catalogue of Sweet Seeds. Sensi Seeds don’t see themselves as just a seed bank, but as a responsible member of the cannabis community, and a source of education about the true effects and applications of cannabis. It is a philosophy that is woven into the very fabric of the company itself, and has helped shape them over the decades they have been producing high-quality cannabis seeds. 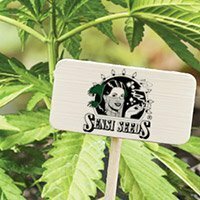 In addition to dedicating their time to breeding to more traditional strains, Sensi Seeds have put a lot of effort into ensuring they have a variety of strains suitable for medical users. 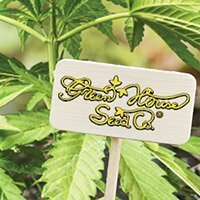 The reputation as an activist seed bank means they bring all of their passion into their breeding, as they try to uncover the many hidden secrets cannabis has to offer. One thing is for sure, this passion for all things cannabis guarantees a gold standard of genetics, which has ultimately seen them shoot to fame as growers across the world flock to their banner. Go to the complete catalogue of Sensi Seeds. 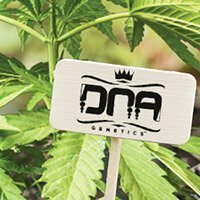 Featuring in the High Times Seed Bank Hall of Fame, DNA Genetics are the only seed bank ever to have won every single type of award presented at the High Times Cannabis Cup – one of the most prestigious cannabis award events on the planet. As such, they are quite rightly seen as one of the best cannabis seed banks around, and a heavy weight of the market. DNA Genetics actually started life as a Californian-based seed bank back in the eighties, but later moved to Amsterdam in 2002 to take advantage of the more cannabis friendly environment. It was a move that helped bring the best of American cannabis genetics right into the centre of the European cannabis scene, using their expertise and fresh take on certain strains to help shape the wider market as a whole. Go to the complete catalogue of DNA Genetics. Pyramid Seeds focuses on producing potent, high yielding and easy to grow feminized cannabis seeds. This one-track goal has led the seed bank to pour all its resources and knowledge into the breeding of some of the strongest bud around, and when paired with the fact all of their strains are easy to grow, has led to Pyramid Seed enjoying a surge of popularity over the last few years. The quality of their cannabis is such that they have managed to bag awards at the Spannabis Cup – Spain’s largest cannabis awards event. This approachability is popular with novices and veterans alike, with novices finding Pyramid Seeds’ range a great high-quality tool to learn with, while veterans enjoy the ease with which they can be subjected to advanced growing techniques. 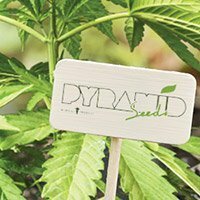 Pyramid Seeds is all about easy cultivation and using world-class genetics to achieve it. Go to the complete catalogue of Pyramid Seeds. Serious Seeds is another old-school titan that has been around since the beginning. 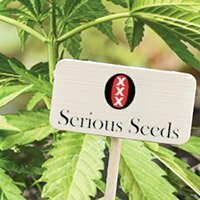 Long-established in The Netherlands, Serious Seeds have spent the last few decades dedicating their time to perfecting and honing some of the most radical and consistently excellent cannabis strains available. As the name suggests, they are extremely serious about cannabis and pride themselves on the stable, reliable, and uniform nature of their plants. In fact, they are so keen to ensure their cannabis is the best it can be, they are the only seed bank to individually number their packets, so they can trace the entire life and batch of any seed sold under their brand. When it comes to producing some of the best cannabis seeds around, there are none more serious about it than Serious Seeds. Go to the complete catalogue of Serious Seeds.